Ray florets are twisted, curled, or wavy and of uniform. 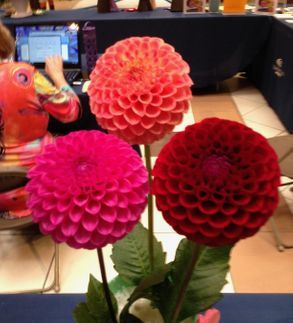 Creating an affect that the petals are not flat. The petals may be partially revolute with their arrangement appearing irregular. 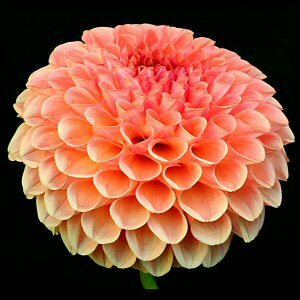 Ideal depth, 3/4" the diameter of the bloom. The ray florets are broad at the base, straight or incured and reflex toward the stem in a regular or uniform way. Ray florets will be revolute for more that 1/2 of their length; and fully revolute for at least 1/4. Ideal depth 3/4 the diameter of the bloom. 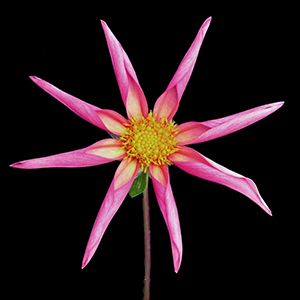 Ray florets are narrow at the base, straight, uniform in length and reflex toward the stem. Radiating uniformly in all directions. They will be revolute for the majority of their length and fully revolute for ~1/2 their length. A depth of 3/4 of the dia,eter is ideal for this form. 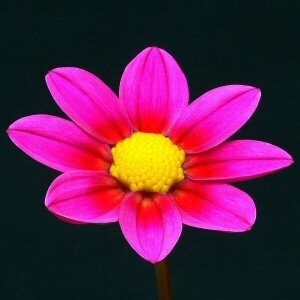 The ray florets are pointed, uniform in length; they uniformly curved towardsthe face of the bloom. 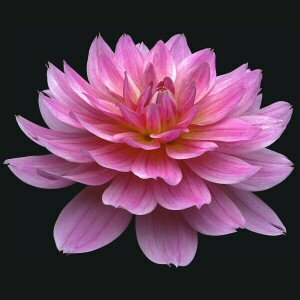 The are revolute for the majority of their length and fully revolutye for at least one-half of the length but the pointed petals have a pronounced curvature toward the center of the flower head. A depth of 1/2 the diameter or slighter is ideal. 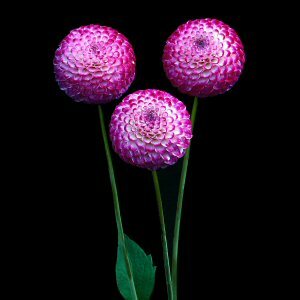 Fully double flowers, ball shaped or slightly flattened at the face, where the ray florets are blunt, rounded, or indented, involute for most of their length, fully involute for about one-half their length, and normally displayed in a spiral arrangement. There should be little distortion within of the floret tips cross section. Same form as ball, differing only in size. 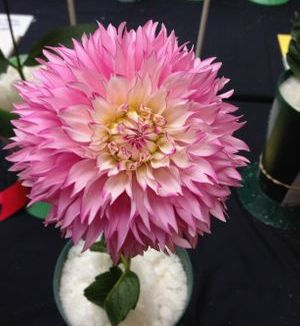 Fully double flowers similar to ball dahlias but more globular and smaller in size; the ray florets are involute for their whole length and fully involute for more than half of their length. Fully double, breaking gradually from immature florets to fully developed outer florets. All ray florets wil have a partially involute "U" shape in cross section for the majority of their length and recurve toward the stem. The less mature florets should possess the same narrow and partially involute characteristic. The exhibit space between the ray florets in each rows and possess a uniform regular arrangment. 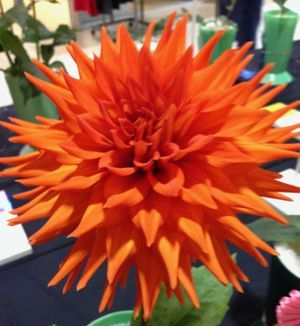 Bloom depth should be greater than 1/2 of the diameter. 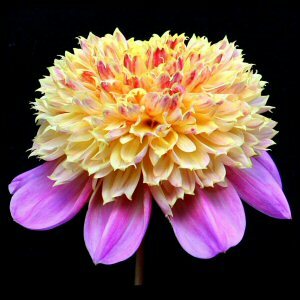 Fully double and symmetrical blooms with a side view that appears to be flat or saucer shaped. The ray florets are openly faced giving the bloom a delicate appearance. The center is closed and dome shaped breaking gradually to four to seven rows of fully developed outer ray florets which are also broad and slightly cupped with rounded tips. 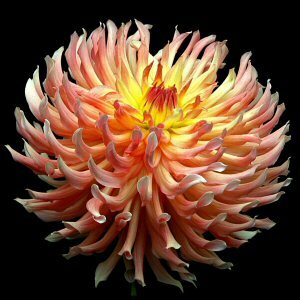 The depth should be never more than 1/2 the diameter of the bloom. 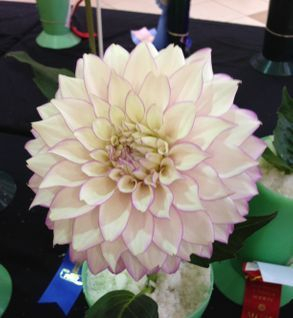 An open centered dahlia with two but no more than five rows of ray florets surrounding the disc flowers. Ray florets are broad, generally flat to slightly cupped and even spaced in flat plane. Ray florets should ne equal or nearly equal in length from the bloom face to the back, not recurving or reflexing to the stem. but if present should be symmetrically arranged around the disc. Ideal depth is less than 1/3 the diameter. 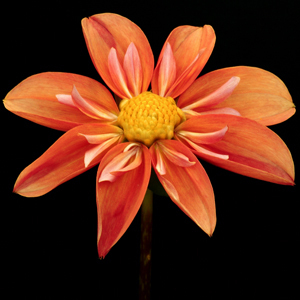 Disc florets may show zero to two rows of pollen. A dome of elongated tubular disc florets srroudned by one or more rows of ray florets. These disc florets should be fully developed, uniform in shape and zie and be regularly arranged around the disc florets. 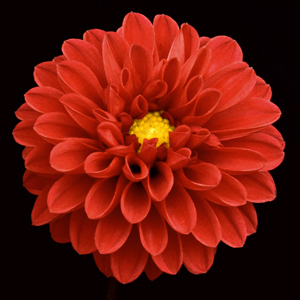 The raye florets should be visable from the face of the bloom. 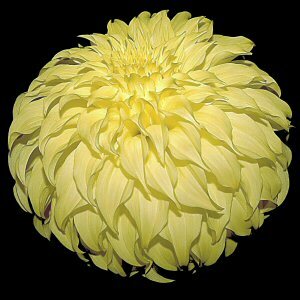 TYhe disc florets should also be unifgorm in shape, size and formation and present a domed, pincushion appearance. 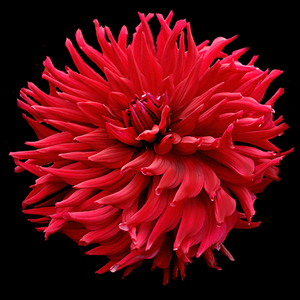 An opened centered dahlia with a single row of uniform evenly spaced compound ray florets in a flat plain surrounding the disc flowers. The ray florets will uniformly overlap, preferably surroudniung the disc should be ~ 1/2 to 2/3 the length of the ray florets. 8 ray florets are most desirable. A floret tip is preferred. The disc flower should contain pollen up to three rows. 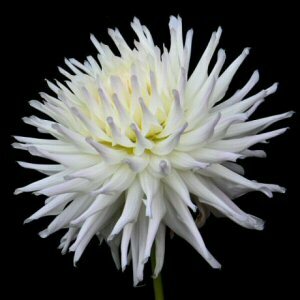 The bloom will have a single row of flat or slighly cupped ray florets arranged in a flat plane. They uniformly overlap, preferably in the same direction and with no gaps. 8 8 ray florets are most desirable. A floret tip is preferred. 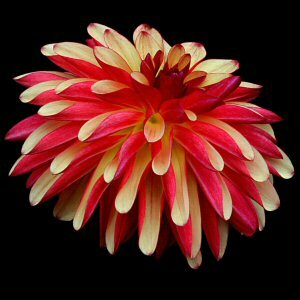 The disc flower should contain pollen up to three rows..
Mignon single dahlias possess the same formation as single dahlias except they ahve rtound ray florets tips. Disc flowers should have no more than two rows of pollen. 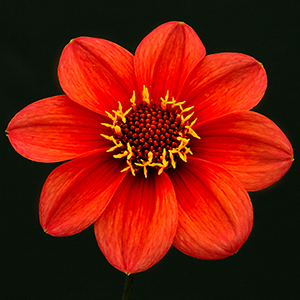 An open centered dahlia with a single row of evenly spaced ray florets in a flat plain surrounding the disc flowers. The ray florets are involute for two-thirds or more of their length and fully involute for at least one-third of their length. 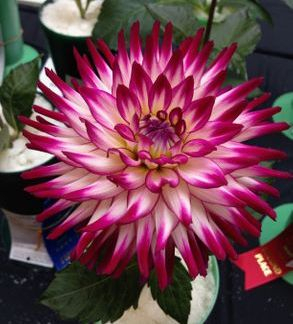 8 ray florets are most desirable. Disc flowers with up to three rows of pollen are desirable. 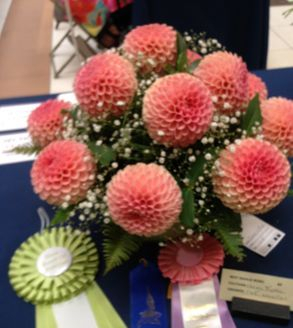 Dahlias with characteristics differing from the present classifications. The centre should be open with the disc in proper proportion to the ray florets. 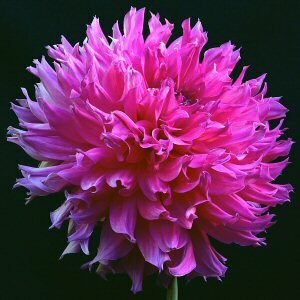 Dahlias with characteristics differing from the present classifications. These varieties centers should be closed. 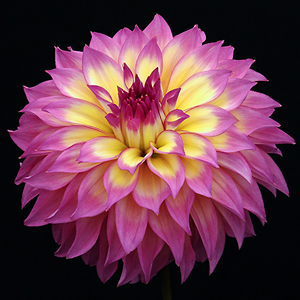 Any questions, feel free to visit our dahlia and glad meetings. Meetings are held February through to October on the first Tuesday of the month at 7:00 pm at the GR Paine Horticultural Centre at 2324 East Wellington Road, Nanaimo.